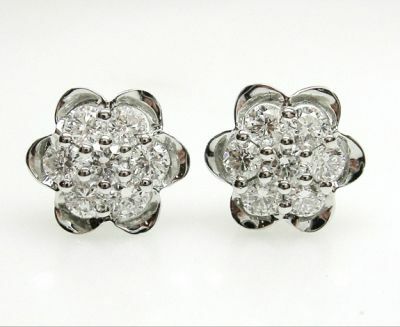 18kt white gold earrings with 14 claw-set round brilliant cut diamonds, est. 0.73ct. (clarity: SI1-I1 & colour: F-G). They have butterfly posts.